I paid for this app before it became a subscription and they keep updating it in a deceptive way to try and force me to pay for the subscription. They keep putting updates in that make it look like you are locked out of the courses that have already been paid for. Real sleaze ball tactics. Initially and for a while I would give this 5 stars. The good- Videos transition nicely between clips to make custom sessions. Premade “classes” are good also. I do get to keep what I originally purchased. Sounds are pleasant and exactly what I expect. The bad- If you have not purchased I’m not sure if there’s any content here. Any new content tried to get you to do a $10 month or $96 year subscription with no options to just purchase ... not sure why these companies aren’t happy with having one time in app purchase for additional content, to me subscriptions just reek of greed. Even if some of the classes were $20-$50 I’d do one time purchase. 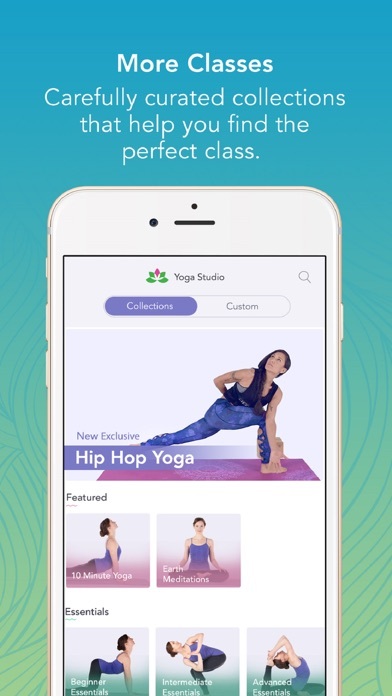 Who really wants to “rent” a yoga app ? 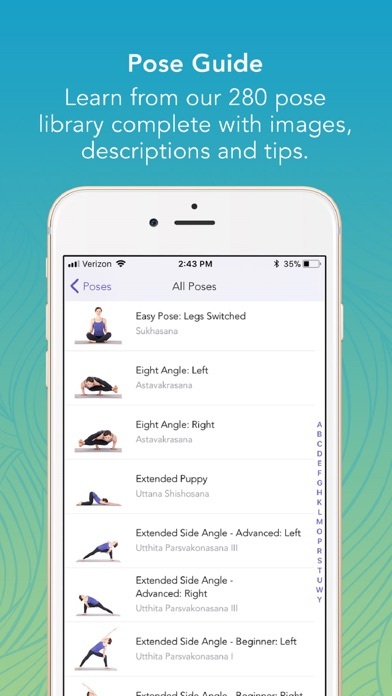 Looks like it’s time to find a different free yoga app. I was doing meditation for a while and I needed to prefix my meditation with some stretches for the body. Since I have a hectic work schedule, yoga classes weren't an option for me. The earliest I could go to a yoga class was at 6am and latest was at 9 pm !! This app helped greatly - beginner, intermediate and expert levels in one app? That too different choices of timing from 4mins to 60 mins sessions? For $4 ??? Please TAKE MY MONEY !!! 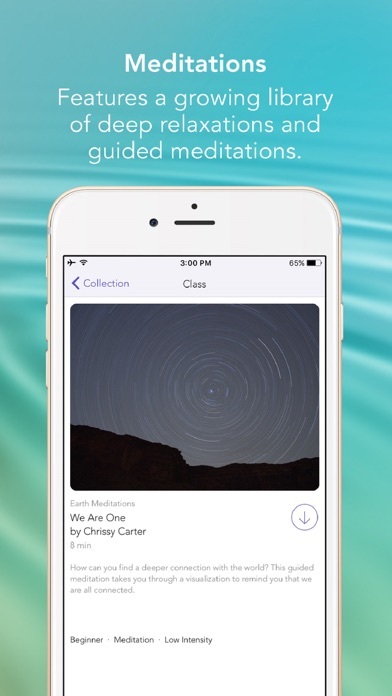 It’s my go to app anytime I’m in need of peace and centering in my life. I have enjoyed the ease of all the workouts and the consistency of the app. I always look forward to my workouts. 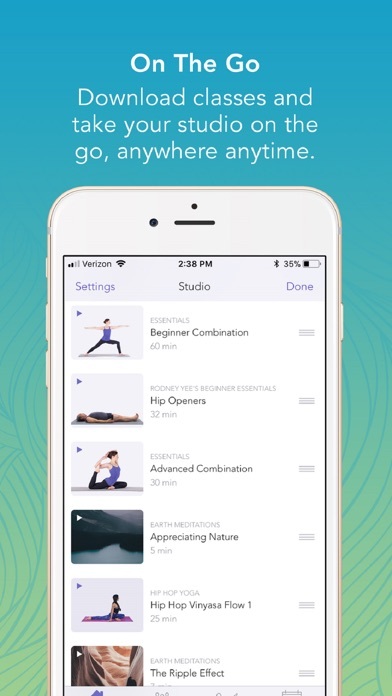 I really enjoy the 10 minute yoga fix options. It’s an incredibly user friendly app. I highly recommend it. Update: FIXED! Thank you! The recent update put a permanent “notification” on the app that you can’t get to go away no matter what you try. Please fix this! I purchased this app four years ago for $3 and it came with unlimited use. Now they want all of my personal info and a monthly subscription for $20. That’s not what I signed up for....They bait and switched all of their first customers and have become greedy by chasing reoccurring revenue. I’m someone who doesn’t like to workout often I also don’t cardio. 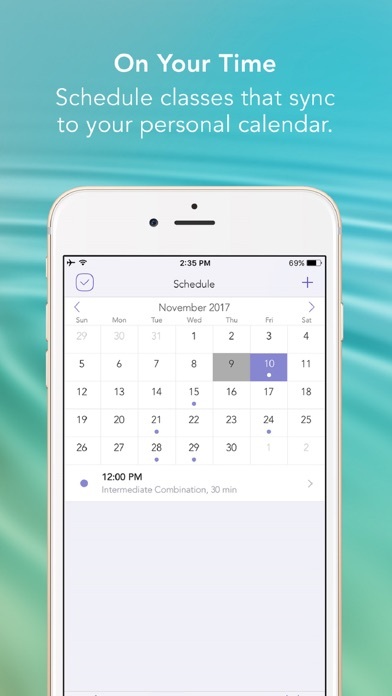 This app has very simple and super relaxing especially in the morning before work I have used this app for going on 2 years now and I have lost so much weight and even leaned out some of my legs because I had big girl thighs still. I credit this app for most if not all of my weight loss progress so far. This app is great for begginner’s. It provides variety and easy to follow instruction. I really feel great after every session!